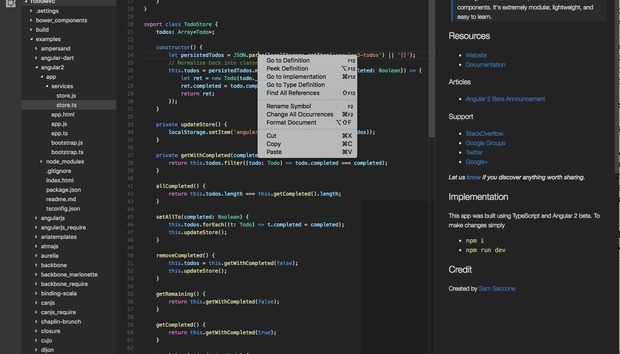 Microsoft today is advancing its Visual Studio IDE in several areas, including serverless computing and development on the Mac. For serverless computing, the company’s Azure Functions Visual Studio beta lets developers integrate Azure Functions into development flows, said Scott Guthrie, executive vice president for Microsoft’s cloud and enterprise group. Microsoft CTO Kevin Scott said the company would be “doing a bunch of things to make it easier to manage the entire life cycle of serverless code development.” The beta is a available as a Visual Studio 2017 extension, Guthrie said, and lets developers use third-party extensions, testing frameworks, and continuous-integration systems. Serverless computing provides event-driven programming in a managed environment. With Azure Functions, users pay for the resources they use. It competes with Amazon's AWS Lambda service. Microsoft also is previewing Azure Application Insights support for Azure Functions, providing intelligence about Azure Functions code, so teams can measure performance, detect issues, and diagnose problems with serverless apps. Another beta, Azure Functions Runtime, extends Azure Functions to on-premises systems and other systems outside the Azure cloud. Microsoft's Visual Studio 2017 for Mac is now shipping in a production version, providing development for mobile and web apps as well as for deploying to Azure. It had been available in beta since November. Developers building on the Mac can use Microsoft software development technologies such as C#, F#, .Net Core, ASP.Net Core, and Xamarin. For iOS and Android development, Visual Studio for Mac uses Xamarin, which supports cross-platform development and comes with the IDE. Microsoft will soon release Visual Studio 2017 15.2 as well as a beta 15.3 version. The 15.2 version features the return of Python and data-science workloads, as well as added support for TypeScript 2.2 and bug fixes. The beta 15.3 version has improvements to accessibility, .Net Core 2.0 beta support, live unit testing for .Net Core projects, and more C++ support. Visual Studio Snapshot Debugger, meanwhile, provides cloud debugging that gives insight into cloud production-code behavior at the time of an exception without needing extensive logging statements or exception-handling code.